Back in 2010, when Google announced they are leaving China over their principles on censorship, etc. 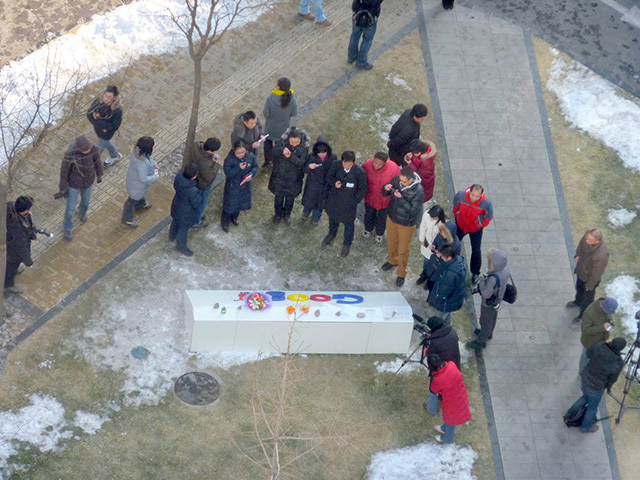 People from within China came to the Beijing office and left flowers at the Google sign outside the building. In fact, we covered that back in 2010. But the photo above is from Meredith Whittaker, Google Open Research founder, who took the picture herself back in 2010. She said on Twitter "A photo I took from Google's Beijing office, 2010, the day after the company announced it was pulling out of China. Hundreds of people left "illegal flowers" thanking the company for putting human rights before self interest. Another world is possible, y'all."